Have you tried Football Frenzy at Silver Oak Casino? It’s a pretty cool game inspired by the World Cup, which is soccer’s (or football, if you’re reading this from anywhere but the United States and Canada) biggest sporting event. Let’s be clear. We don’t offer betting on sports at Silver Oak Casino. We only offer legal online casino games. Sports betting is only legal in Nevada in the United States, but lots of people place bets with offshore sportsbooks. As we near closer to the 2016 Olympics, Nevada is doing everything it can to make sure more people keep their cash in the state instead of betting at sportsbooks that don’t operate in Las Vegas. Nevada gambling officials are lobbying the government to allow betting on Olympic events, something that punters can’t do right no win Las Vegas. If approved, sports bettors would be able to bet on who will win an Olympic medal for a specific event. This could be extremely lucrative for the state. After all, betting on the Olympics is akin to betting on a horse race, more so than betting on a football game. In a football game, you’ve got two teams. In an Olympic event like swimming or track and field, you’ve got multiple people competing. This is just the first step in changing the Nevada betting experience. 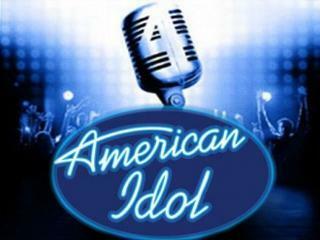 If all goes well, Nevada could allow betting on things like American Idol or the Oscars. Right now, the state prohibits betting on award shows because the outcome is known in advance. We’ll be keeping an eye on this story as it develops. Stay locked to Silver Oak Casino for all the latest info. And in the mean time, feel free to bet on sports the casino way. Games like Basketbull and Hockey Hero are waiting for you.